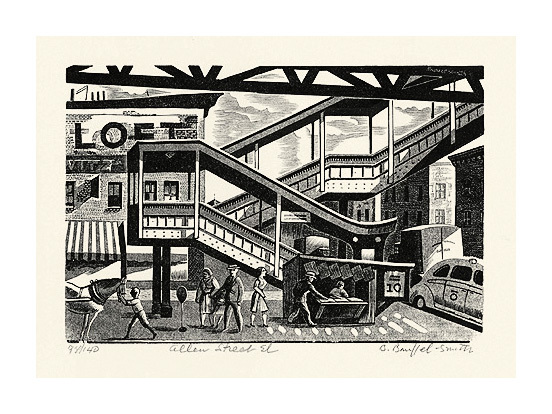 Allen Street El -- -1941, Chiaroscuro Wood Engraving. Edition 140. 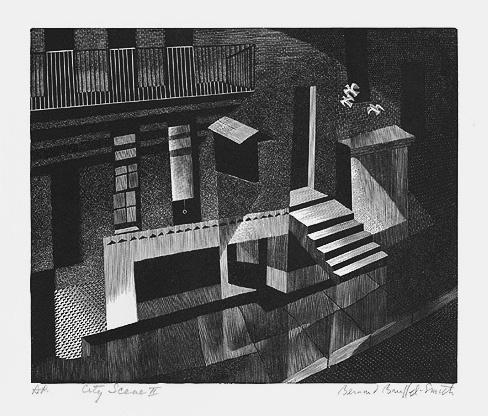 Signed, titled and numbered 84/140 in pencil. Signed and dated in the block, upper right. Image size 4 x 6 1/16 inches (102 x154 mm); sheet size 10 x 11 1/2 (254 x 292 mm). A fine, clean impression, on cream wove paper, with full margins (2 5/8 to 3 1/4), in pristine condition. Collections: NYHS, Denver Museum, Achenbach Foundation for the Graphic Arts, Yale University Library, Fairleigh Dickinson University Friendship Library. 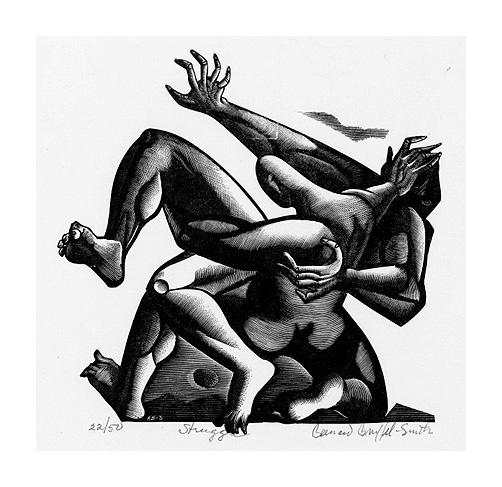 Struggle -- -1945, Wood Engraving. Edition 50. Signed, titled and numbered in pencil. Image size 5 5/16 x 5 5/16 inches (136 x 136 mm); sheet size 14 x 11 inches (356 x 279 mm). A fine, rich impression, on cream wove paper, with full margins (2 3/4 to 4 3/4 inches), in pristine condition. 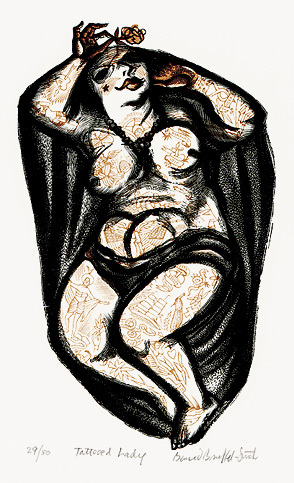 Tattooed Lady -- -1945/46, Chiaroscuro Wood Engraving. Image size 5 7/8 x 3 5/8 inches (152 x 92 mm); sheet size 11/12 x 9 11/16 inches (291 x 246 mm). 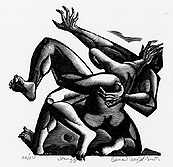 A rich, clean impression, on white wove paper, with full margins (2 3/8 to 3 1/8 inches), in pristine condition. 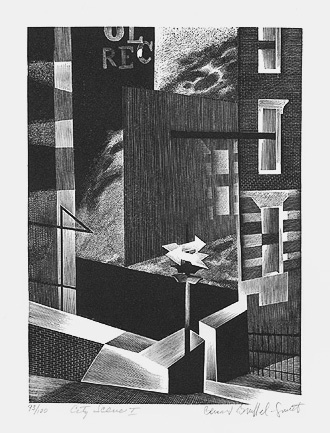 City Scene I -- -1949, Wood Engraving. Edition 100. Signed, titled and numbered in pencil. Image size 6 9/16 x 4 3/4 inches (167 x 121 mm); sheet size 11 1/2 x 9 3/4 inches (292 x 248 mm). A fine, black impression, on off-white wove paper, with full margins (2 1/2 x 2 5/8 inches), in excellent condition. 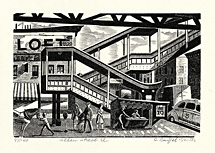 City Scene II -- -1949, Wood Engraving. Image size 5 11/16 x 6 13/16 inches (144 x 172 mm); sheet size 9 5/8 x 11 1/2 inches (244 x 292 mm). A fine, black impression, on cream wove paper, with full margins (2 to 2 1/4 inches), in pristine condition. 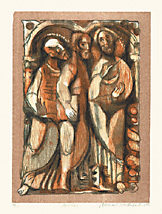 Apostles-- -1975, Color Wood Engraving. Edition 65. Signed, titled and numbered 33/65 in pencil. Image size 9 7/8 x 7 inches (251 x 178 mm); sheet size 15 x 11 1/8 inches (381 x 283 mm). A fine, rich impression, with fresh colors, on off-white wove paper; full margins (2 to 3 1/8 inches), in pristine condition. 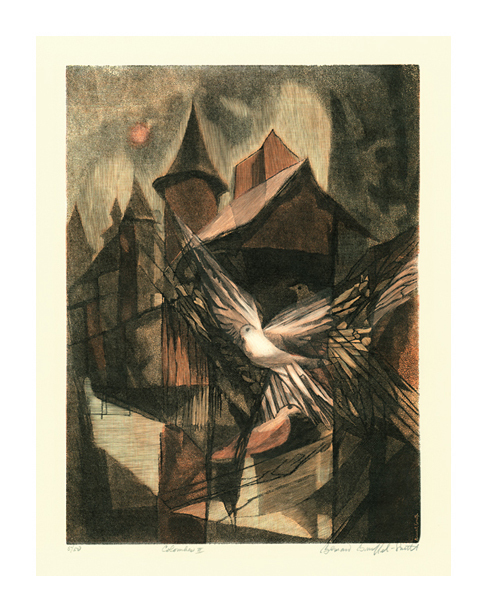 Colombes II -- -1980, Color Wood Engraving. Edition 50, 2nd state. Signed, titled and numbered 5/50 in pencil. 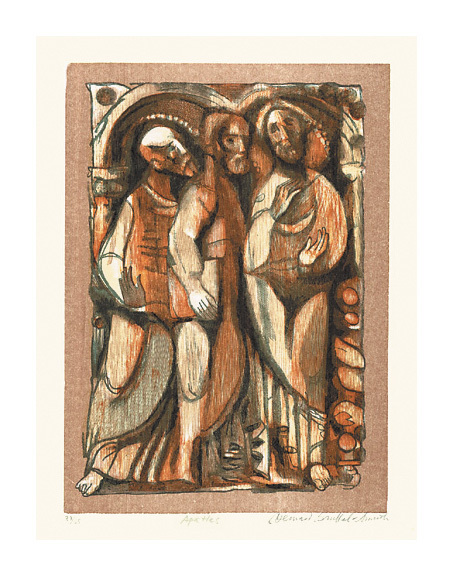 Image size 11 7/8 x 8 5/8 inches (302 x 219 mm); sheet size 16 3/8 x 14 1/8 inches (416 x 359 mm). 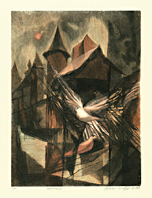 A fine impression, with fresh colors, on off-white wove paper; full margins (2 1/4 x 2 3/4 inches), in excellent condition. Collections: Lenin Library, Yale University Library, Fairleigh Dickinson University Friendship Library.